Francesco Gesualdo – Malta’s protestant martyr or fake news? Execution by fire of a heretic. Malta can boast of only one shining Protestant martyr, a man who paid with his life, a rare steadfastness in upholding his religious principles, an almost solitary voice who knew the risks of defying the Roman Catholic majority in Malta in the fanatical fractures of the 16th century, soldiering on and never flinching nonetheless. 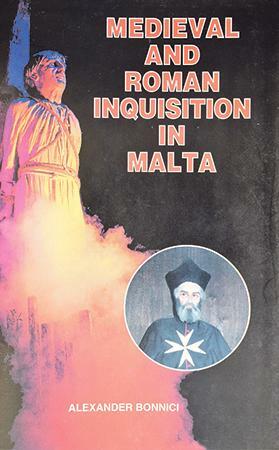 Cover of a book by Alexander Bonnici on the Inquisition showing the alleged burning of Gesualdo. Don Francesco Gesualdo died burnt at the stake in 1546, refusing to the very last breath of his life to recant his beliefs, the first and only martyr to ennoble the Reformation in the annals of Malta. Mark Montebello, in his perceptive and far-ranging history of philosophy in Malta, singles out Gesualdo as a leading icon of freethinking. Yes, but was he really? The only source of the Gesualdo chronicle is an important volume published in Rome in 1651 and in Antwerp in 1654, by the Jesuit Fr Sebastiano Salelles, who for many years worked for the Inquisition in Malta. This tome served as a practical handbook in Latin on the jurisdiction, methods and procedures of the tribunal of the Inquisition. As Salelles had grown familiar with the workings of the Inquisition during his very long stint in Malta, the book contains useful information related to the island. I am attaching a verbatim translation of the part relevant to Gesualdo. It starts: “And so, in 1546, many heretics were denounced, in the way of ordinary proceedings, to the Lord Bishop Cubelles, in his capacity as Inquisitor. These heretics had been corrupted by various errors over a period of 10 years. Among these heretics there was a certain Frenchman called Gesualdus. Gesualdus, a most dangerous heretic who had come to Malta, had spread different heresies with the co-operation of a certain Maltese person, N, headmaster of a school. The co-operation of this person consisted of the following – on every Sunday and feast day, he went in secret to Gesualdus and whatever he heard from him against the Catholic faith, he then passed on at night to his students and to others. 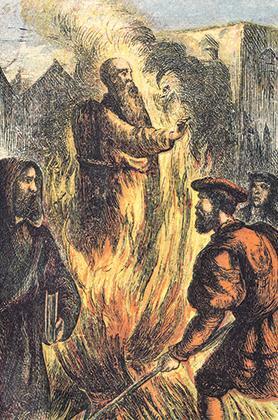 The burning at the stake of a heretic. “The case of Gesualdus was concluded in this fashion: as he was obstinate and unrepentant, he was sentenced to be burnt alive. The sentence was carried out in front of a huge crowd of people. 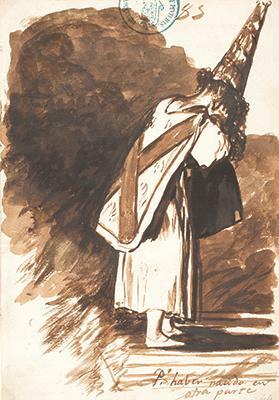 While he was being led to his execution, because he started to speak improperly, saying ‘why do priests delay in getting married, since this is permitted to them?’, by order of the most reverend Inquisitor Cubelles, his mouth was stuffed with a handkerchief, lest, in speaking out, scandal might be further forthcoming against clerical celibacy or against some other article of the faith. At last, having been burnt alive still impenitent, he handed his wretched soul over to the devil. 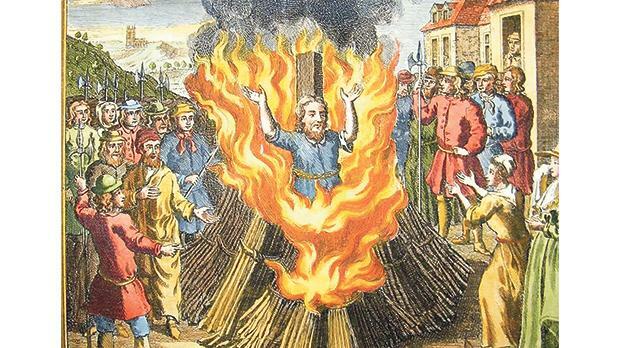 Burning of a heretic in Malta. Tableau in the Mdina Dungeons Museum. Gesualdo’s heretical co-conspirator, referred to as ‘N’, was Don Andrea Axiaq, former parish priest of Siġġiewi and headmaster of schools in Vittoriosa and in Mdina. Salelles was anything but Mr Nobody. Born in Gandia, on the eastern coast of Spain, close to Valencia, in 1574 or 1576, he joined the Jesuit Order in 1590, and already lived in the Jesuit College in Valletta early in the 1600s. He rose to be adviser of the Inquisition in Malta and a close friend of Inquisitor Fabio Chigi, later Pope Alexander VII (1599-1667) with whom he corresponded long after Chigi left Malta. 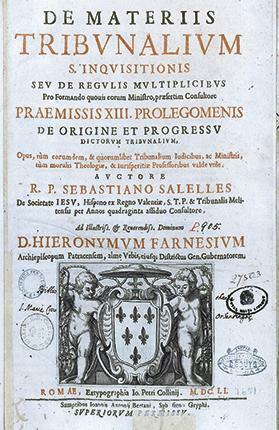 Salelles published his book on the Inquisition at the insistence of his friend the Pope. He died in Malta on January 15, 1666. For many years, scholars had taken the Salelles version of Gesualdo’s martyrdom at face value – and who can blame them? – they relied on a serious, usually dependable source. An important recent book on the Inquisition in Malta actually has for its cover a macabre image of Gesualdo being burnt at the stake, taken from the dungeons of Mdina. I believe it was only Vincent Borg in his utterly monumental history of the Church in Malta who first started having doubts on the accuracy of the Salelles narrative. Virtually everything that could be cross-checked proved to be wrong. I want to add some archival findings that really pull inside out Gesualdo’s story as recounted by Salelles. 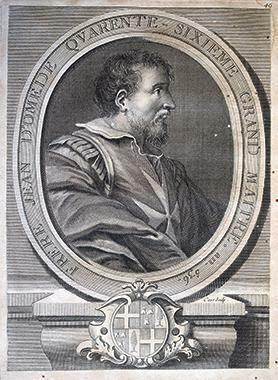 Grand Master Juan d’Homedes, during whose rule the execution of Gesualdo is said to have occurred. The Order of St John, placed in charge of Malta in 1530, had an institutional military vocation, disciplined by total religious submission to the Pontiff in Rome. The early cinquecento challenged the supremacy of Rome and the orthodoxy of Catholic doctrine, mostly through Luther in Germany, Calvin in Switzerland, and later, the Huguenots in France and the Anglican schism of Henry VIII in England. The first response from Rome, expected from all Christian sovereigns, was a total conformity to traditional Catholic tenets and an equally unrelenting war against the new heresies. The ultra-Catholic military Order of St John in Malta reinforced its anti-heresy defences, to ensure ‘the purity of the faith’ by increased censorship, discipline and punishments. No heresy was to ‘infect’ the members of the Order or the inhabitants of Malta. It is against this background that the Gesualdo saga has to be assessed. Fired by reformist zeal, Don Francesco Gesualdo and Don Andrea Axiaq set up the Confraternità dei buoni Cristiani, active from the 1530s till c. 1545. They studied and discussed the reformed bibles and proved very vocal in their ‘protestant’ beliefs, not least, that of the marriage of consecrated priests. Mgr Borg, through a re-examination of original documents, had already identified a number of major fault lines in the Salelles narrative. Gesualdo was not French at all, but a native of Calabria. The date of Gesualdo’s execution could not possibly have been 1546, as he was reliably reported alive many years later. Mgr Borg however accepts that Gesualdo suffered death at the stake at some unspecified time and place. I had a look at the archives of the Order of St John, on the off chance of coming across some unknown morsel, and a wholly different picture emerges from them. Ready for a few surprises? Gesualdo was still alive in Rome in 1562 – 16 years after being burnt at the stake in Malta! The first mention of Gesualdo I came across is dated March 28, 1550. This minute of the Council of the Order states that the Commissioners took cognisance of the complaint made by the knight Fra Giovanni da Bologna against Fra Francesco Gesualdo, examined the file and heard all the relevant information. The Grand Master and the Council condemned Fra Francesco Gesualdo to spend two years in the Gozo underground guva, and also to pay the woman Agnese Grima within three months the sum of 25 scudi he had promised her as wedding dowry. This entry on its own, already throws a totally unsuspected light on the narrative. Gesualdo was surely not a monk or friar, but an ordinary knight, as the criminal courts of the Order of Malta exercised jurisdiction over him (the Council only tried crimes committed by knights or against knights). His name does not appear in the printed register of all the Italian members of the Order, published privately by Bartolomeo del Pozzo in 1732, though his list includes five other Gesualdo knights of noble ancestry. This absence comes as no surprise. Del Pozzo airbrushed out of his human inventory the names of Italian knights who had been expelled from the Order or had brought it into grave disrepute. Gesualdo may have belonged to the purely religious, not necessarily noble, branch of the Order, the priests aggregated to the Order – but these are usually referred to as Fra Cappellano, not simply as Fra. This entry establishes conclusively that Fra Gesualdo was still alive four years after his alleged burning at the stake. The minute furnishes no details as to what offence the Order accused Gesualdo of, but his severe penalty – two years buried alive in the underground Gozo guva – counted among the punishments reserved for serious crimes. It must have been an offence related to some breach of the vow of chastity, in which Grima featured as victim or as accomplice. The records mention that the errant knight, bound by celibacy, had to compensate Grima to the tune of 25 scudi promised to her in marriage. No mention so far of Lutheran heresy or of Inquisition misdeeds. The Order’s records contain two later references to the culprit knight. On November 5, 1555, the Council met to hear the complaint of the Order’s criminal prosecutor, requesting the Council to start proceedings against Fra Francesco Gesualdo. He was now being investigated for serious heresy and had been placed in prison while justice was taking its course. Later, because of illness and as recommended by physicians, he was moved from jail and placed in the Infirmary which was to serve as his prison during his convalescence. But Gesualdo, without permission from the Grand Master, fled from the hospital and disappeared from the island. After hearing the report of the Commissioners and mature deliberation, the Council, as was customary, resolved to convene the public assembly of the knights to proceed to expel Gesualdo from the Order. This entry again confirms that Gesualdo was a knight and still alive 11 years after his purported public burning. He again found himself in major trouble, this time facing charges of heresy. The Order had abolished the death penalty for knights, but easily got round this obstacle: first defrock the delinquent knight, and then hand him – now a layman – over to the ordinary justice system, which could inflict the death penalty in separate criminal proceedings. But Gesualdo escaped from prison and from Malta – or was ‘escaped’ conveniently. Many situations, awkward for the knights, the Order solved by obviously contrived escapes from Malta. The final entry relating to Gesualdo is dated December 9, 1554. The Grand Master and Council met in the church of St Lawrence in Vittoriosa, ecclesia maioris, to the solemn pealing of its bells, according to custom. They heard the criminal complaint of the sguardio (the Council acting as a criminal court) that Fra Francesco Gesualdo, while being investigated for the crime of heresy, having been transferred from prison to the infirmary to convalesce, escaped clandestinely from there and, without the Grand Master’s knowledge, fled from Malta. The sguardio, voting by secret ballot, decreed unanimously that the Grand Master’s Lieutenant should defrock Gesualdo publicly and eject him from the Order, “as a putrid and decomposed limb”. Having observed the formalities laid down by the statutes, the fugitive Gesualdo was expelled from the Order that same day. I found no mention that Gesualdo was ever pardoned and readmitted in the Order or that he ever returned to Malta. During that very same ceremony, the Council expelled another two knights: Fra Don Pedro Herrera, caught stealing and misappropriating monies belonging to the Order while holding public office in Tripoli – he too vanished from Malta during the investigation. And Fra Gio Filippo D’Amico from Messina, admitted in the Order in October 1543, the Council found guilty of theft and other serious offences. His crime? Stealing the Grand Master’s silver table service from his palace in Vittoriosa. The Council defrocked and sentenced him to life imprisonment. Pardoned and readmitted to the Order in 1569, the Grand Master gave D’Amico another chance to enrich his criminal conduct sheet. And Gesualdo was still alive in Rome in 1562 – 16 years after being burnt at the stake in Malta! This time round he again courted trouble with the Inquisition of the papal city. He had been arrested in Naples and brought to Rome. Mgr Borg has published references to the sentence of the Inquisition, which, on March 10, 1562, sitting in Rome, only condemned Gesualdo to publicly recant his errors, after his trial and that of two of his Maltese friends, all reputed to be Luterani marci (the standard Italian cliché to describe heretics), Don Andrea Axiaq and Pietro Cumbo, advocate for the poor in Malta. But the final judgement only ordered a public apology, not a burning at the stake. Apart from Salelles’ heavyweight fake news, I believe there is not a single shred of hard evidence so far that Gesualdo suffered death by fire, or otherwise, in Vittoriosa, in Rome or elsewhere. But some sensationalism never spoils a good story. So the question remains: how is it that Salelles, a sombre and reliable scholar, came to garble the story of Gesualdo’s burning at the stake? I would exclude deliberate falsification outright. Based on known facts, I can hazard a couple of guesses. Was Salelles mixing up our Gesualdo with Antonio Gesualdo or Gesualdi, hanged and then burnt in Rome for Lutheran heresy on March 16, 1559, under the Caraffa Pope Paul IV? Another possibility: differently from us, Salelles had access to the original Inquisition file of the trial of Gesualdo and the others accused of heresy. What happened when one of the accused escaped during the trial? 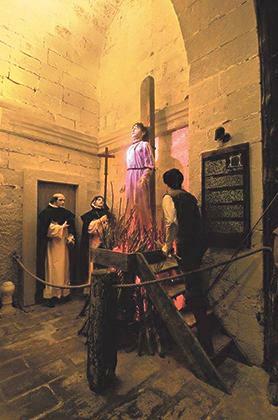 There are several recorded instances when the Inquisition, both abroad and in Malta, ordered the burning of the fugitive heretic ‘in effigy’. A lifesize puppet stuffed with straw representing the missing accused was set on fire in a public ceremony, a symbolic execution in absentia. This happened, for example, when Mattew Falson fled from the Inquisition and from Malta in 1574, and the Inquisitor ordered that his effigy be publicly set on fire. It could be that Salelles misread the 100-year-old manuscript order of the Inquisition tribunal for the burning of Gesualdo in effigy, taking its meaning literally as a physical burning of the heretic. This, let me make it clear, is purely speculation. The rest is not. Thanks to Maroma Camilleri, and to Joseph Anthony Debono, whose translation of the Salelles text I used.